This unique tree features fan shaped leaves and is an old time favorite. Techmer Nursery sells only the male non fruiting variety. 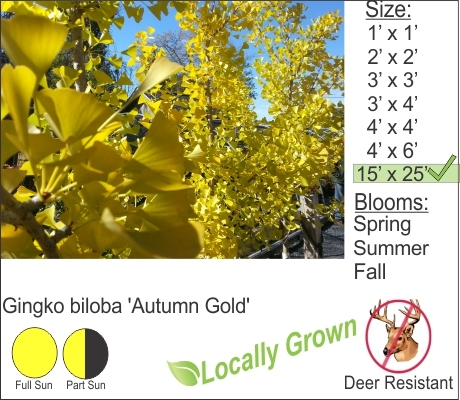 Ginkgo is a sturdy tree that can grow and thrive for many decades. The vibrant yellow fall color is worth waiting for with this specimen tree.